The purple-lime twisted pattern was adopted for the 2015 limited edition by KENZO’s creative directors Carol Lim and Humberto Leon. The purple lines symbolize The French Alps, while the lime pattern stands for the mountain spring water. 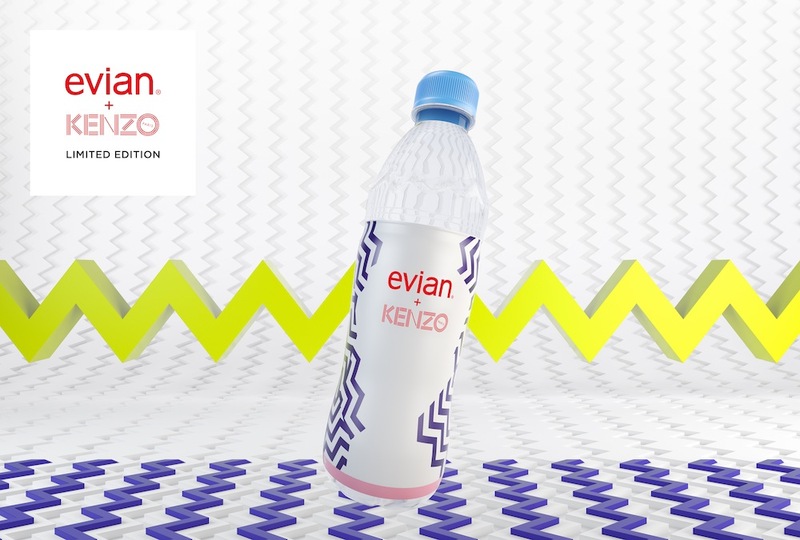 This collaboration with evian coincides with the Kenzo-initiated ongoing environmental campaign “No Fish No Nothing” aimed to support the sea-themed fund Blue Marine protecting the sea flora and fauna. 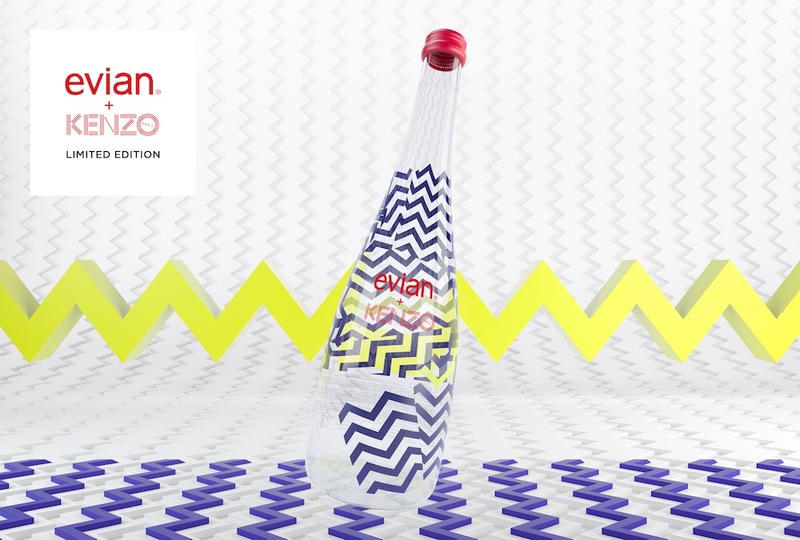 A whimsical geometrical pattern featured in KENZO’s autumn/winter 2014 collection and inspired by the eccentrically artistic world of David Lynch’s cinematography will appear on the glass and plastic evian bottles of 0.75L volume rolling out in European premium supermarkets and high-end restaurants. The KENZO fashion house joins the celebrated line-up including Elie Saab, Issey Miyaje, Christian Lacroix, Jean Paul Gaultier, as well as Paul Smith who have designed limited-edition bottles in collaboration with the brand since 2008.